What does Catholic social teaching say about the GOP health care plan? 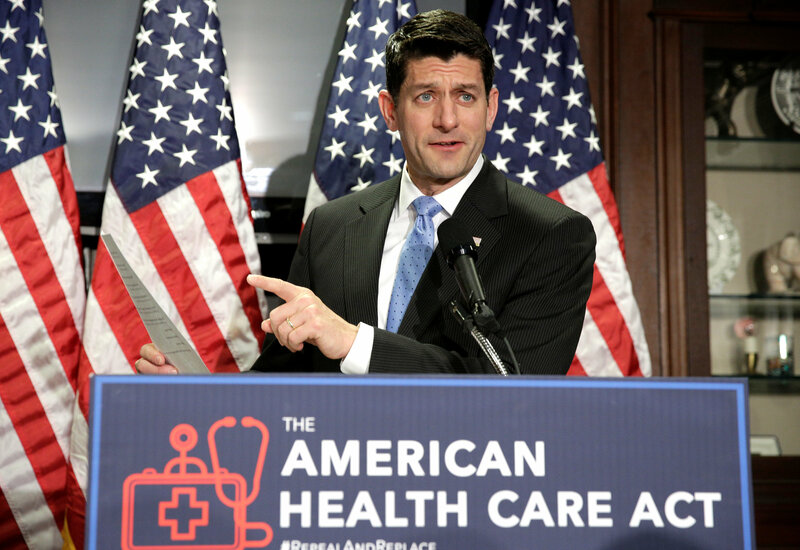 The proposed Republican replacement for the Affordable Care Act (“Obamacare”), unveiled by Speaker Paul D. Ryan in early March and now making its way through the House with the support of President Donald J. Trump, has few fervent supporters but countless critics, from the AARP to the conservative Freedom Caucus. The U.S. Catholic bishops have also been wary of the proposal, and the Catholic Health Association has opposed it outright. The A.C.A. is flawed in many ways, especially the way it was rolled out without due regard for questions of religious liberty, but the Republican replacement, called the American Health Care Act, seriously tests many principles of Catholic social teaching. The Compendium of the Social Doctrine of the Church mentions health care as a human right alongside food, housing, work, education and transportation (No. 166). Pope Francis has also been vocal about access to health care, especially with regard to how the poor are treated. “Health is not a consumer good but a universal right, so access to health services cannot be a privilege,” the pope said during a meeting with members, volunteers and supporters of Doctors with Africa in May. The proposed changes to the health care system exacerbate rather than ease social inequities. The plan is still under review by the Congressional Budget Office, which provides official nonpartisan numbers for Congress, but other organizations have begun to cast their own predictions. The Brookings Institute predicts that the C.B.O. “will likely estimate that at least 15 million people will lose coverage under the American Health Care Act (AHCA) by the end of the ten-year scoring window.” An analysis by the rating agency Standard & Poor predicted that “about 6 million to 10 million people will lose health insurance if the bill passes, including 2 million to 4 million currently enrolled in the individual health insurance market, and 4 million to 6 million currently enrolled in Medicaid.” The Compendium identifies “those without health care” among the poor who must be given preferential treatment when making decisions, on a structural or personal level (No. 182). Further, the proposed changes to the health care system exacerbate rather than ease social inequities. The new tax credits for buying insurance, which would replace the A.C.A.’s subsidies and tax credits, range from $2,000 to $4,000 per year, depending on age. But they are “flat”—that is, not tied to need—and so lower-income households would lose financial support. The Kaiser Family Foundation estimates, for example, that a 40-year-old making $20,000 per year would be eligible for $4,143 in premium tax credits under the current system (in addition to A.C.A. subsidies he may receive to lower the cost of his monthly premiums) but only $3,000 under the Republican plan. He would also lose the A.C.A.’s current tax credits to help with out-of-pocket costs, such as deductibles and co-payments. Similarly, the new tax credits do not take into account the costs of policies in individual markets, so they would be less valuable in places (predominantly rural areas) where there is little competition in the insurance market and where premiums are higher. The plan would also freeze Medicaid enrollment in 2020 and cap federal funding per enrollee, based on how much each state was spending in 2016. Vox estimates that the changes amount to ”a $370 billion cut to federal funding to Medicaid over 10 years,” with states unlikely to pick up much of the reduction. And the law would allow states to drop Medicaid coverage of mental health treatment, including drug addiction—another case of reducing care for the most vulnerable in society. While the Republican plan keeps the requirement that insurance companies cover people with pre-existing conditions, it allows companies to levy a 30 percent surcharge on premiums for one year for anyone who has a 63-day “break” in coverage. Given that many such gaps occur because someone has lost a job or has faced an unexpected expense—such as repairing a car needed to get to work—it is cruel to penalize families who try to do the responsible thing and resume paying for insurance. Just as disturbing as the details of the plan is the rhetoric used to justify cutting health care for the most needy. Mr. Ryan calls his bill “an act of mercy,” even though the most comfortable will benefit the most, in the form of both tax cuts and tax credits. He seems scandalized by the notion that "The people who are healthy pay for the people who are sick,” though that is not only the whole point of insurance but also a bedrock of a compassionate society. One congressman, arguing for the elimination of requirements that all health insurance cover certain treatment, complains about having to help pay for prenatal care—a far cry from a truly pro-life position. How ironic that the Trump administration proposes billions of dollars for our military, so that we will have a greater capability to kill people, while at the same time proposing a health bill that will either take away health care from the most needy or reduce the ability to purchase decent health care for millions. Talk about a culture of death!!! The Trump proposal is to provide more money to prevent people from killing us. Everyone should known that Mr. Sullivan is a hyper partisan liberal who rarely says anything positive about conservatives or Republicans. One way he does this in this article is by failing to note that the ACA is imploding and would have likely been scrapped or modified extensively if Hillary ClInton had won. There is tremendous infighting within the Republicans who want to repeal the ACA because of its highly dysfunctional mechanism. Just how to do this and replace it with something better is the issue. It cannot be done with a single piece of legislation due to Senate rules so has to be done in phases. For example having competition across state lines can not be part of this bill and would be in future legislation. Whether this will work is anyone's guess. But, please Mr. Sullivan don't slant the story. Tell the the correct story and the whole story. Not just your partisan view. Don't wrap it In Catholic social teaching theory which can no way be applied to what is happening. It is just a way to somehow justify one sides political views which is a false application and is by definition not Catholic social teaching. i agree with you 100%. thank you for your comment. Mr. Cosgrove, I thinkone could do worse than to heed the words of Pope Francis on this subject. The GOP bill is a cruel joke. My guess is that you know nothing about the GOP bill. If you do, why don't you lay out the problems with it as well as the positive things. And at the same time lay out the problems with the current health care legislation and what it does positively that the Republican policies would not. . Then we can have an intelligent discussion instead of just referring to something as a "cruel joke." Has Pope Francis commented on the Republican health care policies? If he has, then I missed it. Mr. Cosgrove, I think one could do worse than to heed the words of Pope Francis on this subject. The GOP bill is a cruel joke. Well so far that segment of the American Catholic leadership that cried bloody murder about the ACA seems muted regarding the ACHA ( none of that "subsidiarity" nonsense yet) so the Paul Ryan Catholics and their fellow Congressional Christian ilk may have come up with a health care format that is sufficiently removed from the Sermon on the Mount to satisfy the USCCB's fascist sector. With a little luck we've had the last of the government helping the middle and lower classes buy tickets on the health train, as if that crowd mattered. This is a useful, concise summary of the issues relative to Catholic social teaching on the subject, a narrowly tailored viewpoint but interesting and relevant. A society's policies and strategies with regard to its members is social by definition, and its transactional relationships in achieving its policy objectives is the definition of activity governed by the principles of distributive justice. The whole Republican agenda reflects a war of the strong against the weak. The AHCA is only one part of that. Another part of the plan is to use the "savings" generated by cutting healthcare coverage to give a tax break to the wealthiest Americans. We need single-payer, universal coverage for healthcare - partly because we would save 30-40% on our healthcare costs by doing so. Universal, single-payer coverage would allow people to start their own businesses and would help to end discrimination against older workers. We would probably see an economic boom if we switched to single-payer coverage, but the benefit would go to ordinary middle- and lower-class citizens rather than the corporations and wealthy people who support Republican campaigns. Why the Catholic Church had any role in supporting the Trump campaign is a mystery. The current political developments could all be expected from what was obvious during the campaign, and none of the developments are positive. Satan is the father of lies and the current president campaigned with lies and continues to lie now. The fruit of all those lies will be evil in its many manifestations. None of this should be a surprise to anyone with their eyes open. Over the past 30 years I have held top management positions in the healthcare industry, now retired. Nothing in this article talks about original CBO cost estimate for the ACA or its current costs now or the cost over the next 5 years......if the ACA makes it that far...which it will not. The truth is that the CBO estimated the cost of the ACA at about $900 Billion. However, in less than 2 years they revised the cost to $2.8 Trillion. The current cost of the ACA was not mentioned as if such costs are not important. What about the 'current' premium cost to the 200 million people that are becoming 'unaffordable'? Does Catholic Social Teaching say that we should be willing to pay any price as long as we make the access to health care affordable to about 20-30 million people (through subsidies)? I can tell you that the answer IS NOT a national government-run healthcare 'option' for all Americans as the Democrats propose. When Hilary Care was under consideration, my consulting firm did an analysis of the healthcare plans of 10 countries in an effort to determine what would work in the U.S. The results were not surprising. Most people have no idea that in many countries, many people have to put up with long waiting times in order to see a specialist. In many cases, some medically necessary care such as hip and knee replacements are often denied based on a cost-benefit analysis and the age of the patient. Consider the fact that individual tax rates in other countries are much higher than in the US in order to fund generous social programs such as national healthcare. In other words, most Americans will not want to accept the consequences of national health insurance. I will agree that the Republicans have not offered a reasonable or effective solution to date. For example, capping Medicaid funding as proposed will result in far to many complex problems.. Any solution will have to be compared to the costs, benefits and negative consequences of the ACA...and all solutions will have some unpleasant realities. 1. An ACA where plan costs are spiraling out of control, insurance carriers are fleeing, and far too many people never get to receive benefits from their plans because of the astronomically high deductibles. The truth is that the ACA will implode in a few years leaving millions of Americans with no healthcare plan at all, not just the poor. The so-called solution by the Democrats (e.g., a national healthcare option) is unrealistic because the true cost, benefits and negative consequences of such a solution will never be accurately made apparent to the American people by Democrats. This unfortunate state of affairs is called Washington and it is broken. Witness the fact that all the Democrats want to do now is criticize any Republican solution, good or bad, while not offering any realistic alternative. 2. At the moment the plan the Republicans are offering out of the starting gate has far too many negatives. However, until someone can put forth an honest and accurate report of costs, benefits and consequences 'compared' to the ACA and a Democratic alternative, we will be flying blind. This national debate will become polarized if it is not already. 3. The current ACA is not in keeping with Catholic Social Teaching. Who could make such a claim given what we are experiencing now and what we can reasonably expect the near future? On the other hand, no one can claim that their so-called solution is in keeping with Catholic Social Teaching either because we lack comprehensive, honest and accurate comparisons. All we can do for now is pray and demand that our political leaders resolve this national problem in a bi-partisan manner in an open and transparent forum. What a person sees from a top management position in healthcare is far different from what one sees in caring for patients - whether in a hospital or in an outpatient clinic. I have spent decades working in direct patient care. What a person sees in direct patient care is that much of what passes for healthcare is geared toward procedures rather than medications because procedures make more money for hospitals. Many procedures and surgeries have only marginal benefit, though it is also true that some are miraculous in their ability to heal and increase quality of life. As long as profit is a factor in determining how healthcare is delivered, we will see procedures and surgeries of marginal value being done for those with good insurance while others die or lose their house for lack of ability to pay for simple, necessary treatment. Having to wait to see a specialist is far better than not being able to see a specialist at all. And having guidelines for what a public healthcare system will pay for only makes sense. I have seen people in their 80's who have dementia to the point of being unable to talk or walk receiving surgery to enable them to have dialysis. This kind of "treatment" only fuels the arguments for euthanasia or physician-assisted suicide. Preventive measures are less expensive and provide better outcomes than crisis intervention, but people have to be able to see a healthcare provider in order to receive preventive measures. In order to have everyone see a healthcare provider, everyone has to be covered for the cost. Other measures could enhance our ability to provide healthcare to all. We could expand our training of midlevel providers. We could revise how doctors are educated and help pay for their education. We could offer incentives for doctors to practice in rural and underserved areas. And all of this will cost less than what we pay now and people will be healthier. It may reduce the health insurance industry to something devoted to supporting luxury hospitals for the wealthy - no great loss to society. It may require higher taxes on the wealthy - so what? Every civilized country in the world other than the USA provides healthcare for everyone. We can borrow an existing model or create our own model from features found in other healthcare systems. This is a solvable problem. The Affordable Care Act was the best that could be put together in light of the resistance to universal, single-payer coverage. The current Republican legislation repeals much of the coverage and tries to cover up the fact that poor people dying for lack of healthcare is fine with them. The goal of the Republicans is to give more tax breaks to the uppermost 1% and everyone else can live in poverty and die early. I do not see anything of Jesus' teaching in that idea. I was a senior partner in a worldwide healthcare consulting firm before I took a top management position with a large healthcare organization. I ran an international consulting practice and my clients included HMOs, non-profit hospitals, physician groups, Catholic Healthcare organizations, governments, corporations, unions, and the like. In my consulting firm we employed nurses, doctors and other experts because we had to deliver consulting services to Boards of Directors, CEOs, Committees of Competing Interest Groups, etc. We often were asked to help them balance the many objectives of all stakeholders including employees, family members, retirees and the like. I am not insensitive to patient-centered care or the complexity of caring for the elderly, disabled, families or the mine field of highly complex issues must be navigated in assisting plan sponsors to make decisions about balancing cost, quality and adequate benefits for everyone. In a perfect world, everything you articulated should be done. However, in the real world called the U.S. we have to deal with uncomfortable competing objectives where the end product, regardless of how good one's objectives or motivations are, will never be perfect....by a long shot. It is easy to say tax the wealthy, make drugs affordable, don't cut benefits, and improve the quality of care for all. It is quite a different story when you have the responsibility for making decisions impacting thousands of people. Try presenting your socially and morally responsible proposal to Boards of Directors or charitable Catholic healthcare organizations or to a Government Commission tasked with making recommendations that are humane but within a budget. You will soon recognize that there is no easy solution to our healthcare problems. Make no mistake about what I am saying: I have no objection to what your say. Nor do I think that the things you are mentioning should be ignored or not adequately argued when decisions are under consideration. However, I live in the real world and the U.S. is not Sweden or France or any other country with different social programs and taxation systems. More importantly, Catholic Social Teaching (CST) recognizes what I am saying. CST provides guidelines for Catholics to consider when making decisions, whether they be voting for a political candidate or supporting a particular program. There is room for reasonable differences of opinions and CST does not put forth legalistic and rigid rules like there are in Catholic sexual ethical teachings. To repeat, I am a critic of ObamaCare as well as the Republican plan to date. I also have no illusions that whatever is signed by Trump will be the answer. This does not mean that there are no solutions but such solutions will require a bi-partisan compromise and a comprehensive balancing of complex issues where no one will get what they want. I am aware that this is not a perfect world, but we are ignoring many factors that could alleviate problems in healthcare. One of the biggest problems is that insurance companies rake off a significant part of our "healthcare dollars" without providing any healthcare at all. Insurance companies have not provided enough healthcare to bandage a cut finger. We would have a far better chance of providing at least basic healthcare to everyone if insurance companies did not have to be paid when their primary effect is to increase administrative costs. Yes, it will take a bipartisan effort to solve the problem, and that is not likely to happen in the current political climate. For people who have never worked in the insurance and health benefits industry they think the problem is the insurance companies. For your information, the average profit an insurance company makes on their healthcare business is 2%. Under ObamaCare many of the largest HMOs and insurance companies lost millions and have dropped out. The level and increase in healthcare benefit costs have very little to do with insurance company administration fees or their meager profit. This is not to say that insurance companies are perfect, far for it. However, they provide a necessary service and some are much better than others. I have worked in the healthcare and benefits industry for more than 30 years, and even I get frustrated by all the inefficiencies and difficulties in navigating the healthcare system from getting drugs approved on formularies, to getting surgeries approved and the hassle in correcting claims that are sometimes denied. Most of the people that work in the insurance industry do a good job and are sensitive to people's hardships and the care they are getting. They are like us, ordinary people who have loved ones who get sick and die. Top management is the same but recognize that they are running a business and the healthcare business is not all about profit. Many are not-for-profit, such as many of the BC/BS plans. Having said that, it is not 'profit' that is the problem...as mentioned. Lisa, you are placing the ills of our healthcare system in the wrong place. Insurance companies play a minor role when it comes to the causes of health benefit cost increases and the quality of care. Many times government mandates cause these problems, as do the cost of technological innovation, hospital, physician can other prices, an aging population, the cost to treat sever illnesses and diseases, legal suits, and a disconnected healthcare system. A large part of health benefit plan costs are end-of-life costs. To use an old cliche, it is akin to the 80/20 rule: 80% of total costs are caused by 20% of patients. For some plans, 10% of patients represent 90% of total costs. Insurance companies are not a very minor part of this overall problem. I am aware of the 80/20 rule for costs for patients and also that much of a person's total healthcare costs are incurred in the last year or two of life. I still believe that insurance companies are a large part of the problem in our attempt to control costs of healthcare. I have read this exchange with interest and a smile. Catholic Social Warriors frequently suffer from two very serious illusions: First that somehow taxing the wealthy is a solution to every social problem identified by Catholic Social Teaching and Second that the Federal Government operates in an efficient manner superior to the private sector. Therefore the Catholic Social Warrior sees Government as a taxing and delivery service that can cure all the identified social problems. Frankly any examination of history will show that this conclusion and both assumptions on which it is constructed are fallacious. Consider just the following....The Total Amount of Unfunded dollars necessary to meet the current promises of Medicare, Social Security and Government Pensions is roughly $90Trillion! If the Government were to seize ALL the income and ALL the assets of the top 90% of the entire country there wouldn't be enough money to pay just these existing unfunded obligations. And once you seize the assets you have eliminated all future income from those assets. It's a one time gambit. To suggest that the US Government could handle universal health care or that you could tax the wealthy Americans enough to pay for it flies in the face of actual historic experience. Imagine just the number of additional pensions that would be added to the Government obligations......Consider the experience of the quality and availability of care offered by Government run Vetrans Administration. You are engaging in utopian conjecture. Comparisons to small countries like The Nordic nations requires you to look at an income tax structure and VAT tax that absorbs over 70% of everyone''s income and a population that is roughly half the size of New York City. The great and titanic struggle between the socialist model and the capitalist model was settled with the end of the Cold War. Any comparison with the the 70 year results of this struggle in the East and the West demonstrates that it is nonsense to think that government efficiency and control yields a higher benefit than private sector control. I have a good friend who gets all his healthcare through the VA system and he is very happy with it. Other countries manage to cover everyone and spend much less than we do. It isn't magic. Capitalism creates some efficiencies, but it also allows for intolerable inequities. We have poor, elderly and disabled to care for. Capitalism won't cover the weak. "Let them die" is not a reasonable answer for anyone, much less Christians. This my last reply to you. Consider for one moment that the U.S. would transition to a welfare State like those in Europe. Do you honestly think that the majority of Americans would accept a tax structure similar to European countries to fund such social welfare programs inclusive of national healthcare? Make no mistake about what I am saying: there are inequities in our country's approach to healthcare benefits that should be adequately addressed. However, moving to an extreme position that is unrealistic in terms of what, as a nation, we can do is not the answer. Lastly, you may have had past problems with insurance companies but you have not offered a reasoned and accurate argument to support your claim that a big part of our U.S. healthcare benefit problems are the insurance companies and their supposed high fees and profits. I suggest you educate yourself further. As a senior partner in a worldwide healthcare consulting company, I have analyzed the health benefit plans of small companies, mid sized companies, large corporations, State Governments and the Federal Employee Benefits Plan. Trust me, the problem of rising and unaffordable healthcare costs, or the quality of healthcare, is not caused by insurance companies. I do agree with you that our goal should be affordable healthcare benefits for all citizens. The solution can be universal healthcare for everyone, like those in many European countries, but no one will accept the tax consequences and monumental disruption that this would cause the U.S. and its citizens. I have thought about your comments on healthcare. Health insurance companies increase healthcare costs by increasing administrative costs. Benefits are different depending on your insurance company and everything major has to be approved before it can be done. A single-payer system would reduce administrative costs. Getting to a solution will require payment reductions on many fronts. Pharmaceutical companies charge too much money. Pharmaceutical companies have a protected market and no price controls. Drugs are far more expensive in the USA than in other countries. I know this partly because a drug I take that costs $325 a month here that costs $83 a month in another country - same drug made by the same company. Doctors and other healthcare professionals will have to take a cut in pay. A decreased paycheck happens in other industries all the time - why should those in healthcare be an exception? Suppliers of medical devices and supplies also have outrageous pricing. A stainless steel mending plate that is a lot like one you might buy for 79 cents at a hardware store is $2000. I don't believe that stainless steel and sterilization justify $1999 in cost. The problem of excessive treatment can also be addressed. Illnesses that are almost certain to be fatal should not be treated as aggressively as ones with a reasonable chance of cure - that is only sensible. Electronic medical records are incredibly expensive, decrease productivity, and have little value with the possible exception of emergency room settings. They should be abandoned as a failed experiment. To say we cannot get to a single-payer system because it would be too difficult and disruptive offers no solution. As an industry, healthcare has gotten used to charging whatever it pleases and anything else is deprivation. I look around the healthcare industry and see corruption run rampant. Reining it in will be difficult and there will be plenty of moaning, but it can be done. You persist in the naive conclusion that Government is more efficient than private industry. There is absolutely no empirical evidence that supports that essential predicate of your argument. Your anecdotal observations on a single person's satisfaction with the VA services is simply overwhelmed by the data the congressional committee have produced to the contrary. Your personal observation on drug pricing here vs foreign countries simply ignores the well documented evidence that absent the potential of the US market the drug you take would most likely never have been invented or brought to market. The correct observation is to complain about foreign government regulation creating "free riding" pricing abroad. Absent US pricing for profit you can forget new drug introductions. Your suggestion that doctors be paid less is simply ridiculous.......the level of pay under Medicaid and in many instances Medicare is already low enough that an increasing number of doctors and practices refuse to accept patients covered by those plans: e.g. Cleveland clinic does not take Medicaid , Mayo Clinic accepts only limited Medicaid patients, Etc etc Each year Congress has to pass a special rider that suspends scheduled cuts in Medicare payments because it knows that hundreds if not thousands of doctors and medical facilities wil stop taking those patients if the cuts go into effect.....the required annual congressional action is so embedded and required it has a name :"The Doc Fix". A "work around" for future federal cuts has been invented by Doctors. It is called "concierge medicine" where there is a fixed annual upfront $$ fee before a Doctor will see a patient. This fee is in addition to anybfee for services that is then charged. As for your observation on private costs for prosthetics and hard equipment I refer you to the well documented Government payment of $600 for toilet seats and $100+ for hammers and $35 screws. Hardly a recommendation for a government cure of the problems you noted. While the ACA was not a fabulous plan, the current proposal is just another reverse 'Robin Hood' plan that takes from those who have less in order to reward those who need less. However, the USCCB bears some responsibility in the health care debate. The "teachers of the faith" have not done a great job of informing their Republican flock of their Christian and Roman Catholic duty to help the less fortunate. By refusing to speak up for justice, they must own their part in the injustice of the current administration where Catholics speak of acts of mercy while sticking it to those whom Jesus (remember him?) asked us to help. I find Mr. Sullivan's analysis above to be the exact wrong way to try to connect the Gospel teaching with what is going on in Washington today. Obamacare is crashing, so much so that nominally "covered" patients are unable to get healthcare, millions more of the mostly healthy lower middle class are faced with exorbitant financial bills, the government debt is ballooning, and employers have stopped hiring the marginally profitable lower middle class to avoid the Obamacare expense. The Democrats & the media (and many bishops) would be pounding the Republicans if the latter had invented this mess. It is the 1st or 2nd reason the Democrats have lost over 900 state and federal seats in the last 6 years. Obamacare will further implode if nothing is done. Catholic social teaching's rule of subsidiarity puts the responsibility for fixing this mess on the politicians and policy wonks. No bishop or media pundit is qualified to do this. Pope Francis knows little about market economics, even less about insurance or the US healthcare system or the US political system, and seems to default to the liberal conventional wisdom on any topic he is not deeply versed in. We are dealing with government policy that is highly complex in its ramifications and many steps removed from the end-results (gospel--> government bill-->reconciliation, filibuster--> law--> insurance--> health care--> access, cost, quality, etc. ), with many unintended consequences (remember the lie about keeping your doctor). Paul Ryan seems to have the most detailed knowledge of all these steps, coupled with a deep commitment to his Catholic faith (unlike most of the Democrats like Pelosi, etc.) and to Catholic social teaching, with its key principles of subsidiarity and solidarity as taught by St. Pope John Paul II, that the wisest thing the bishops can do is 1) support Ryan or 2) opine on another problem they know more about. Keep in mind that the Democrats want this to fail so they can get to universal health coverage, meaning Medicaid for all, in terms of quality and access (like the British or Canadian systems). And even Medicaid is going bankrupt in its current form! There are many things to oppose Trump about, but this is not it. Repeat the falsehood that the ACA is imploding does not make it any more true. GIVE US THE EXACT SAME HEALTHCARE THAT CONGRESS HAS....... Please sign and share this petition to repeal obamacare and replace it with nothing congress feels they must exempt themselves from! Is it so hard to recall that Obamacare was sold to the gullible under-informed Americans on a mountain of lies, you can keep your plan, you can keep your doctor, costs will come down, and so on? Then there was "we have to pass the bill to find out what is in it", and the Gruber tapes ,where he publicly stated that the States that did not set up an exchange would not be eligible for government subsidies and videos emerged showing Jonathan Gruber—the architect of Obamacare—mocking “the stupidity of the American voter” for not perceiving the ways in which the controversial health law concealed its true costs which are out of control. Is it so hard to recall that Obamacare was passed without consultation with or a single Republican vote and its limited availability in many areas today as providers pull out results in higher costs, higher deductibles and health care insurance and is no longer affordable for many? The Supreme Court shares with the democrats the blame for the failure of Obamacare. "the "penumbras" and "emanations" of the Constitution new rights. Progressives and Liberal judges, even SCOTUS Judge Roberts, obviously have no qualms and, in fact, relish the idea that the Constitution can be read as a work by Lewis Carroll who thought he was creating a fictional world with Alice in Wonderland. It is reminiscent of Humpty Dumpty in "Through the Looking Glass", who "said in a rather scornful tone,' it (a word) means just what I choose it to mean, neither more nor less." in an exchange with Alice about words and their meanings. Actually we are living in it now as Chief Justice Robert's and his four liberals had to search "the "penumbras" and "emanations" of the Constitution to find a tax where the authors, sponsors worked diligently to insure that the word "Tax" did not appear in the ACA ie Obamacare law and the President made sure that all Americans understood that there would be no tax in in his healthcare proposal. Lying and duping the American people should be a high crime and not just a misdemeanor. The Justices had to twist legal logic into a pretzel shape to turn a "penalty" into a tax and "by the State" into the Federal government. Humpty Dumpty could not have been more right. On the matter of health care in the US, I think that I understand that Democrats were at one time in favor of universal access to care, and Republicans have somewhat recently come to be in favor of universal access to commercial insurance. I think that Democrats gave up on the idea of universal access to care in the 90s and now they, too, think mostly in terms of universal access to commercial insurance, except for Medicaid, original Medicare and Veteran benefits. I sense that both parties at one time thought that care by way of employment benefits (either from employers or from unions) would operate in a way that the population of completely uninsured, who had managed to avoid pauperdom and thus were ineligible for Medicaid, but were also ineligible for Medicare and veteran benefits, would be small, and that improving the employment rate would always be a way of keeping it small. Consequently, at one time both parties entertained the notion that the task of finding a way to give that relatively small population of totally uninsured access to care by way of commercial insurance seemed doable, both in terms of navigating the treacherous waters of diehard ideologues on both sides of the ideology no-man's-land and diehard budget hawks and doves. But alas, employment benefits, which had been slipping from the workers' grasp gradually but almost imperceptibly during the 80s and 90s, started to disappear much more rapidly in the 2000s and especially after 2008. This fact has been duly noted in even the mainstream media, in which stories can be seen with headlines pertaining to "The End of Employment" or referring to the "Gig Economy." Economists and social historians can now be found who forecast nothing but growth in employment arrangements in which health care or care insurance is not an employer responsibility, and unions continue to disappear. Consequently, the scope and scale of the problem that both Democrats and Republicans have busied themselves with over several decades, haltingly to be sure, have grown and their response to the changing challenges has seemingly lagged by several decades. Now both parties are in the unenviable position of trying to contort and distort the commercial insurance business model to accommodate in some form the objective of universal access to care insurance, which, depending on the individual's circumstances, might or might not equate to actual care. I can understand that some who voice the basic principles of social justice can irritate, not only party loyalists of one persuasion or another, but people who are seriously sweating the details of the seemingly thankless job of trying to make the commercial insurance business model work to solve a problem that it was never meant to solve in the world of commerce. But I think that most serious advocates of social justice are under no illusion that they know more about economics than anyone else. I do think that if they are either begging or warning those working hard to solve this problem to keep the basic principles of our supposedly shared traditional and honorable ethics of fairness and rightness in mind, they should at least be acknowledged for that. the debate. I know that the mess we find ourselves in started when, instead of raising salaries, employers added healthcare as a benefit and it's been entangled with people's employment since after WW11. However, I don't see how we can fix this mess without weaseling our way out of the "for profit" medical care. A large segment of the American people are already on a one payer system, as you noted, VA, Medicaid, and Medicare. The rest of Americans depend on their employers or have to buy it on their own. Employers, especially small businesses people, would benefit if supplying. Insurance to employees was not their responsibility. That's why so many of the insurances that were offered were not very good. The "lie" that if you liked your insurance you could keep it wasn't exactly a lie. When insurances had to meet certain requirements, i.e.,like provide insurance they went out of business. You couldn't keep them because they weren't there anymore. The Republicans keep talking about buying insurance between state lines to increase competition, that's deceptive also. Each state sets up standards that insurances have to provide. Some states have much lower standards so those plans are cheaper. We wouldn't be helping to provide healthcare if we allowed insurances that provide little. Also insurances have to have money over and above what they're paying in case of an unforeseen tragedy. They can't just go bankrupt and leave customers in a lurch. Insurances and pharmaceutical companies have to make money. If we had a one payer system that percentage over and above care would be unnecessary. Our taxes would go up but it's not as if we're not paying for it now. You don't get anything for nothing. You pay it through your taxes or you pay it on your own. Some people believe that the market place is more efficient because of competition. I agree if it's something that's not a necessity, like a bigger better TV. But healthcare is not, in my opinion, like a TV. People die. I think the for profit prisons are a good example of government doing a better job than the marketplace. We believe as a country that an educated populace helps everyone. I think healthcare falls in that category. I am not an expert and I would welcome your opinion. If I may, a few points that may affect your thinking that commercial insurers add costs that would not have to be met in a single-provider system. First, the costs of an “unforeseen tragedy” must be paid whether the insurer is commercial, not-for-profit, or government. Perhaps your comment here objects to the reserves that are carried on insurers’ books for claims that have occurred but not yet been reported. Whether reserves are accounted for or not, or adequately estimated or not, the claim must be paid when presented. Note that in municipal and state retirement plans (government administered) under-reserving in past years is now a major problem. So the commercial system is, because of the applicable accounting rules (and laws like Sarbanes-Oxley) much more honest about loss costs. You question the value of competition. Employers who buy insurance on behalf of millions of American employees not only require competitive bids, and use professional advisors, to obtain the best value for their premium dollars, but the largest corporations insist on programs known as Administrative Services Only (ASO), wherein the insurance company is paid strictly for its administrative work--in other words, the competitive process is aimed directly at controlling administration costs. Not-for-profit insurers such as Blue Cross in many states are involved in this competition against for-profit insurers, so the for-profits have to prove their worth in this competition. The ACA's website and the co-ops organized after the ACA passed allowed individuals to employ the same competitive forces. Unfortunately, most of the co-ops were not well managed, and most (18 of 23, at last count) are out of business. So, efficient, knowledgeable management is important, and competition keeps these costs down while enforcing quality. For a sad lesson in what happens in health care when well-intended but incompetent management is employed to 'control costs', see: “Then There Was One” by Dr. Daniel P. Sulmasy, America, http://www.americamagazine.org/issue/690/article/then-there-was-one. "The Compendium of the Social Doctrine of the Church mentions health care as a human right alongside food, housing, work, education and transportation (No. 166). Pope Francis has also been vocal about access to health care, especially with regard to how the poor are treated. “Health is not a consumer good but a universal right, so access to health services cannot be a privilege,” the pope said during a meeting with members, volunteers and supporters of Doctors with Africa in May." In my 71 years I have NEVER heard that from any pulpit in any Roman Catholic church that I have attended. Which explains why so many commenters here feel perfectly comfortable in arguing the idea that health care is somehow not a necessity but only a social good that can be the subject of political push and pull. As an institution in the USA the Catholic Church is once again a laggard on the moral dimensions of current issues, as it was on slavery, and is on the death penalty and on recent wars and military actions, etc. Popes have spoken pretty decisively on these issues. Not USA Bishops and clergy. God forgive and help us! This is nonsense because it is a non sequitur even if it appears in some Catholic document. It is just an example of the fuzzy thinking that appears when those without knowledge use their emotions to write policy. When in history did health care become a human right? And just what is health care? Is it the health care of 2017, or 2000 or 1980 or 1900 or 1500? Is it only available to those less than a certain age and in certain countries? Today's the poor of the United States have better health care than the super rich of the 1900's and possibly even the 1970's. But not the poor of most of Africa and Asia so if it is a human right why don't they have the same medical care? The answer is that medical care is an economic good and has always been rationed based on economics. Just because something sounds harsh, does not mean that it is not reality. Let's deal with reality, not pious wishful thinking. Health care has never been a basic right in the history of mankind. Certainly there has always been nurturing and this tendency that is built into human nature is highly desirable. If health care had been a human right, there would be a history and literature of this right but there isn't. Instead there is a history of medicine and medicine is an economic good and the availability of it depends on its abundance in society and until the last 60 years has been very limited in the world. Even today with the tremendous advances in medicine, medical treatment has to be rationed. And if you follow the history of economics, a rationed good that is highly desirable tends to beget more of it as it becomes economically profitable for people to do so. So if you want to get more of something that is highly desirable then encourage competition and make it very profitable. This is what the Republican plan is all about, encouraging completion in medical care. You will eventually get more of it and also better products. And whatever is available at any moment will always be rationed and distributed unequally in any society. To think otherwise is delusional. All the hand wringing and misinformation in this article by Mr. Sullivan and the comments and in the anti-Republican press has led even top media people to not understand what is happening. Even the pro Republican internet sites and media are failing to understand just what is planned. There is a clear three step plan in progress and step 1 is the AHCA. The second step is within HHS and will reduce regulations and make insurance cheaper and more accessible. For example, all the problems over contraceptive requirements was an arbitrary decision done by Obama and Kathleen Sibelius. It was not necessary to have done this and was not in the law but a policy decision by Obama. So HHS secretary Peters can restructure the options required and this will expand options and reduce costs. The third step requires normal legislation and will require 60 votes in the senate. The second step is already well underway. The current Republican plan lacks a lot of detail and some of what has been mentioned cause me major concerns. > Per capitation strategies have been around the healthcare industry for the past 30 years and none have worked. It is easy to push the problem to the States. However, when the States are faced with a current Medicaid plan that costs more than the Federal government is willing to give them (e.g., the capitation payment is less than 50% of actual total costs), then States have only two options: increase taxes and/or cut benefits. It may be possible to reduce costs by getting more Medicaid off the doc by training them for available jobs, but this has been tried before with little results. It is also possible to require more pre-approval of medical procedures and drugs. However, many States have tried various cost containment initiatives and none have worked. > I remain skeptical until I see more details. This is a big problem because it amounts to 'cost shifting'. > This strategy is very misleading. While it is true that it will increase competition and give everyone access to a plan, it must be recognized that the cost of healthcare is 'local', not national. Even if 20 insurance companies agree to offer plans in a State and their local communities, don't expect costs to come down. Hospitals and physicians will only agree to a certain pricing structure in exchange for 'more patients' or 'not losing patients'. Recognize that more competition has a negative side. In other words, more competition will mean that an insurance company will be limited in guaranteeing that a hospital or physician group will get more patients or relief from losing patients. More importantly, no hospital or physical organization will agree to a fee structure where the payment will not cover their costs. To put it another way: No doctor will be willing to receive a 30% cut is their annual salary without an increase in patient volume, nor would a hospital be willing to cut services to the point where it will not cover patient demand. Another major problem with more competition is that some plans will get more of the bad risks and less of the good ones. Predicting who will sign up is a crap shoot. ObamaCare ran into this problem. They underestimated the cost of bad risks and the amount of money insurance companies needed to stay in play. Most left ObamaCare. This will be a problem that the Republican plan may well have to deal with. On the positive side, some consolidation among providers may be a good thing, but it is not clear to me that this is the answer or how much more industry consolidation will occur. 3. High Risk Pools and Enabling Small Businesses and Citizen Groups to Buy Insurance through Large National, Regional or Local Cooperatives..
> If this becomes a strategy, good luck with this. Many already exist and healthcare costs are still high. While these concerns are problematic, they pale compared to ObamaCare and what it is turning into. Nevertheless, I remain skeptical and have no illusions that the Republican Plan will not cause the Trump Administration major problems. I hope and pray for the best. One of the ways to lower costs is to reform the tort laws. It is not just the liability insurance costs but the defensive medicine that doctors practice. I witnessed it during a long period of chemo therapy where one of the doctors admitted many of the testing was done because he knew he had to protect himself if something went wrong. Also I paid about half as much for an MRI when I shopped around in my area which is suburban New York City. Usually I would just go to the local hospital which the doctor was affiliated with but decided to try a walk in facility because it was quicker. I didn't realize the cost difference till after we got a statement and compared the cost to one a previous year. There is almost no incentive for the patient in the employer health care market to look for lower costs since the insurance will pay for it. It often hit me that the rapid rise in deductibles in the individual market would lead to lower expenditures on medical care since it would force one to limit costs. Unless they pass the deductible limit then that incentive disappears. Somehow instilling an incentive for the individual to seek lower costs is part of the answer but we are so brainwashed not to do this, that it will be hard for people to change their habits. . Doctors at present time have no incentive to restrain costs when they know insurance will pay and neither does the patient. My comments were at a high level and not an exhaustive treatment of the problems in our healthcare system. I agree with you. We do need to reform the tort laws and create better incentives to seek out and use the lower cost option within reason. Insurance companies, BC organizations and HMOs do negotiate with secondary providers like Labs and X-ray and MRI firms for lower fees. In many cases, if you use a 'preferred provider' that your healthcare plan offers you have very little out-of-pocket costs. It depends on the plan you have in the individual market and sometimes the plan you can afford is a high deductible plan with high co-pays and exclusions. I have not examined the individual market for some time as I have been retired for 11 years now. As for doctors, it depends on the group he or she is affiliated with. I have seen more coordinated care and various cost management techniques employed when my doctor switch healthcare groups. Nevertheless, you make valid points that I agree with. The Gospels I read mention care of the poor, sick, elderly etc repeatedly. Legislation that takes healthcare away from those of Christ's people are contradictory of His message. This effort to reduce healthcare is immoral and cannot be allowed to pass. Can we get Michael Barberi a job as an associate editor of America? I am sure that his experience would add immensely to the intellectual thoroughness of the organization, not just in healthcare but in other areas where Catholic Social Thought intercepts economic life. Catholic Social Teaching should be renamed Catholic Social Theory. As a theory, or group of theories, it can be tested for the truth of its utility in human experience. ACA has been a success for 20mm people, but at enormous cost to 320mm people. Bloomberg notes life expectancy in much of Appalachia and the Mississippi Delta runs lower than in Bangladesh or in Nepal. Healthcare coverage in the world’s leading free market economy is nothing short of a disgrace. This is my last comment on this blog. It is a new comment, not a reply, even though it will address many misperceptions. 1. Insurance Company Administrative Fees Increase Health Plan Costs but such Fees will be less under a Single Payer System. > This is nonsense. If the US Government ever implemented a single payer system, it will be the insurance companies, BC/BS organizations, HMOs, and PBMs that will be administering and paying claims....just as they do for other the large government health programs like Medicaid and Medicare. The US Government will not be building a claims paying and administrative bureaucracy for a single payer system. If the did, administrative fees will be far higher and not competitive with the claims paying and administrative fees of insurance companies, et al. These systems are constantly being improved and require millions of dollars of investment every year....not something the US Government is not likely to be doing. > Administrative fees on average for an insurance company or BC plan is less that 5%. These fees vary depending on the plans being administered. For very large plans, such as a GE or JPMorganChase plan, such fees are a minor item. Someone has to administer a health benefits plan whether it be our current system or a single payer system. A single payer system refers to one entity who is paying the total costs, not paying every claim. 2. Prescription Drug Pricing is the Problem. > This is partially true. However, arguing that drugs cost are too high because a drug cost $100 in the US and only $40 in another country is not taking into account the reasons for this. Another country, say France, can negotiate with a big Pharma Company because they have leverage called a 'national formulary'. In other words, if a Pharma company does not agree to a particular pricing structure for their top brand drugs their drugs may not be on the formulary. This would cost the Pharma companies millions of dollars of profits because, on average, the top 3-4 drugs of a Pharma company represents most of their total profit. > Now, having said that, negotiating with a Pharma company is highly complex because a Pharma company may agree to significant discounts for their top brand drugs, but at the same time they will negotiate an increase in the prices of all their other drugs. In other words, you can't just bargain with a Pharma company on the price of their top brand drugs and call it a day. You have to negotiate on all, or most, of the drugs of a Pharma company. It is the price of their total basket of drugs that the Pharma companies are interested in. They may lose money on a few drugs and make it up on the other drugs, some of which may be generic. On average however, other countries get a bigger discount but that is because of a national formulary and what a country is willing to do to control costs. > Now, contrast this to the US. We don't have a national formulary where the US government chooses what drugs will be on it and what drugs will not be available in the US. We have an open-access system where all or most drugs are available and where doctors choose and prescribe what is best for their patients. Sometimes there are alternative drugs that are less costly. Sometimes there is a generic, but other times the top brand drug is the drug of choice and recommended by the National Institutes of Health or the American Medical Association based on cost and effectiveness. That is why certain brand drugs are first line therapy for a particular illness. > As should be obvious there is a big difference between what can be done in social welfare states, like European countries have, and what is possible in the US. If the US ever instituted a national formulary and a pricing structure like European countries have, there would be dramatic layoffs in the US Pharma business and significant reductions in research for diseases like cancer, HIV and other deadly diseases. It would be a disaster. Can drug prices be reduced in the US. Yes, but not like what is being done in other countries. > As for the price of some new drugs or delivery systems, it is reasonable for the Federal government to review and challenge such pricing. However, as long as the Pharma company can demonstrate the cost of research, et al, and its pricing, the only option the Federal government to lower the cost is political pressure, as in Congressional hearings, citizen protests and media coverage. We know of a few drugs and delivery devices that have caught the attention of Congress and US citizens. However, when you consider the total drug costs in the US, the reduction in the price of a few drugs or delivery devices is a very small fraction of total costs. 3. The Cost of Medical Devices are too High and this causes health plan cost to increase. > This is partially true as well. However, to set prices for medical devices is a form of 'price and profit fixing'. How would the Federal Government do this? On what basis should the government decide how much money a private corporation should make on their products? What is a fair and reasonable price for a medical device or a new drug? Such ideas have been tried before and they don't work in the US. 4. Excessive Treatment of Fatal Diseases does not make Sense. It only drives up cost. > Try telling your father, brother or child who has a fatal disease that the family decided (or the Federal government decided for them) that only a limited amount of treatment will be expended on their fatal disease. The money saved will go to treating other patients with non-fatal diseases. I ran into this problem with my father. He only had a few weeks to live and he needed dialysis. The doctor initially held this back. However, it was obvious that the lack of dialysis was poisoning his system...he felt it... and he felt he was dying and was scared.. How horrible!! I only had to look at the doctor, and then he immediately ordered the hospital nurses to give him dialysis treatment. My father was not ready to die at that time and dialysis treatment was humane and medically necessary. We made him comfortable and it gave him the time to reconcile his situation and his relationship with God. We gave him what was necessary to treat his fatal illness. He died a few weeks later in peace. > Should we not do heart surgery when the patient is likely not going to live more than 1 year? Are we going to deny hip surgery to alleviate suffering when a patient is 70-75 years old? What exactly is "excessive treatment" and how do we define it? Should this be a purely business decision or medical, social and moral one? How do we reach a decision? 5. Electronic Records are expensive, decrease productivity and have little value. > This is nonsense. It is electronic records that enables physician and hospital groups to review treatment plans, medical procedures, and patient outcomes. Allowing specialists to obtain and review the same medical records electronically is a major breakthrough in improving the quality of care and determining best practices. Electronic records keeping is in its infancy and it is improving productivity, not decreasing it. Going back to paper records with all of its inefficiencies is ridiculous. Sorry for this long comment. I am finished here. You deserve a pat on the back for the time and expertise you brought to this presentation by America. You gave the readership a gift by your endeavor here and it certainly deserves thankful recognition. You have a great deal of expertise, but it seems to be focused on saying why nothing can be done and why changes will not positively impact the healthcare system. It would be far more helpful if you used your expertise to suggest changes that would, in your opinion, work. I will stand by what I have said about the excessive costs of the healthcare system we have and my conclusion that we do not change it because we lack the courage and fortitude to change it. Stubborn refusal to address the facts is not a solution. Inability to accept the reality of a complex system involving economic and medical components creates far more problems than it solves:,look no further than Obama Care for proof of this observation. Bald lies and intentional deception were integral to its passage. The cost estimate from thE CBO was some 900 billion.......so far it has cost $2.8 Trillion!! And costs are growing even while the program is demonstrably failing. Universal health care is entirely dependent on Government sponsorship and that is precisely the reason it would fail. Simply saying "it must work because it is needed" demonstrates an unwillingness to deal with reality. On the contrary, “government failures” in Japan, Germany and Canada have better results at lower cost with a publicly financed universal health system. Average life expectancy in Japan, Germany and Canada runs three years longer than the US. US healthcare spending per capita and US healthcare spending as a percentage of GDP both run over sixty percent higher than the average of Japan, Germany and Canada. By the way, none of the twenty-eight right-to-work states have a higher life expectancy than California. If the answer is so cut and dry and obvious .....just why didn't the Obama Aministration and a Congress fully and completely in democratic control pass a Universal Health Care Bill rather than Obamacare? Despite democrat control of the white house and congress, ACA barely passed. Ever since an effective stand against Carter’s democrat congress, major corporations have encamped thousands of lobbyists on the banks of the Potomac. Trumpcare’s tax cuts move another step closer to a combined trillion dollar income for the top 400 households no matter what the cost to everyone else. It is a pungent indictment of all of us who proclaim ourselves as Christian, because too many of us could have our names substituted for Mr. Ryan's! With all due respect, the Kristof article continues the erroneous Social Justice Warrior position that Christ spoke to Governments rather than to individuals.. Indeed why not apply the Kristof dialogue to the abortion issue and watch the same Social Justice Warriors start quoting Christ "....to render unto Caesar what is Caesar's....". You can't have it both ways!! Stuart, history shows social justice acts as “required maintenance” to run an economy (and maybe society) with some degree of stability. Without social justice, the US economy becomes primarily a “business” for the benefit of the top 400 households. That “business” can contract just like any other business. In the sixty-four years prior to FDR’s “social justice”, the “business” contracted seventeen times with unemployment ranging from 12% to 25%. The question of "what did the founding fathers envision? ", perhaps merits your consideration. The Founding Fathers envisioned a very rugged individualism,unencumbered by a central government. And they adopted the Bill of Rights and in particular the 10th Amendment to assure that result. There is no question that in the pursuit of the happiness and general welfare that the Founding Fathers expected individuals to inform their actions with the prevailing Judeo-Christian ethic. But they certainly never expected that any accepted "moral" activities and "accepted proper thinking" would be legislated by a central government. It must also be recognized that the construction of a Social Justice State envisioned by many requires an income tax and that required an Amendment to the Constitution ....An Amendment never even considered by the Founders and clearly one that would never have obtained their approval. The Founders certainly expected care for the poor and disabled but that was an individual responsibility not a general governmental responsibility. Where I part ways with the current crop of Social Justice Warriors is their insistence that it is the government which should be doing that which Christ actually exhorted the individual to do. I believe the position of the Founders would unquestionably be that individuals and not government must undertake such social justice activities. I must admit that I get particularly exercised when the most vocal public proponents of social justice activities by the government ignore that activity as their personal responsibility Eg.,Joe Biden's and Al Gore's notorious penurious contributions to charity as evidenced on their public tax returns. The theory seems to be that if I pay my taxes I have made my contribution to Social Justice Requirements.